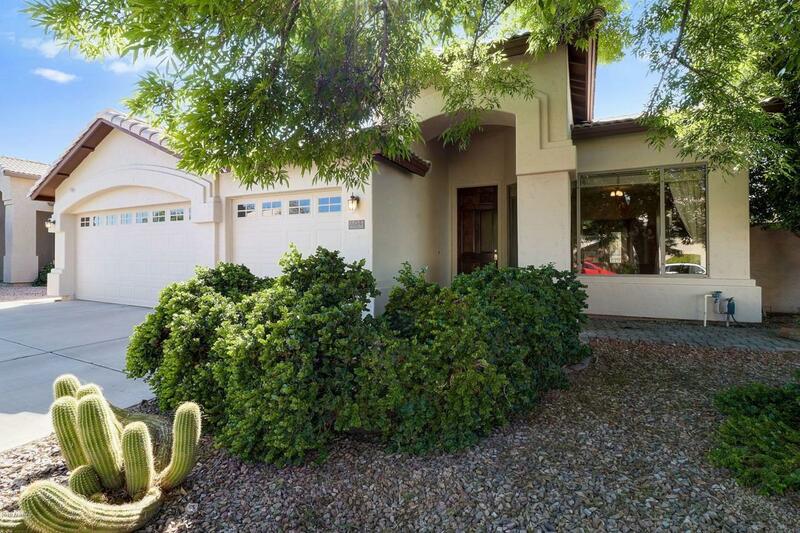 Gorgeous Gilbert home @ Guadalupe and McQueen Rd. 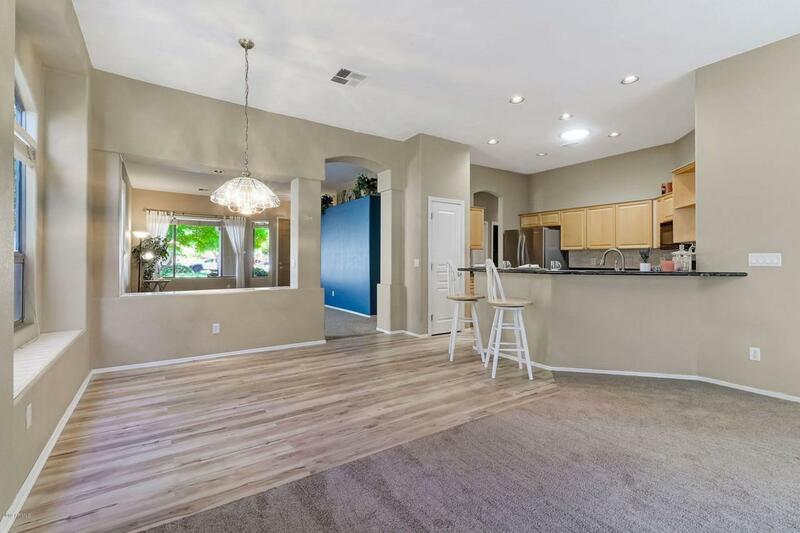 - Close proximity to all the excitement in Downtown Gilbert. 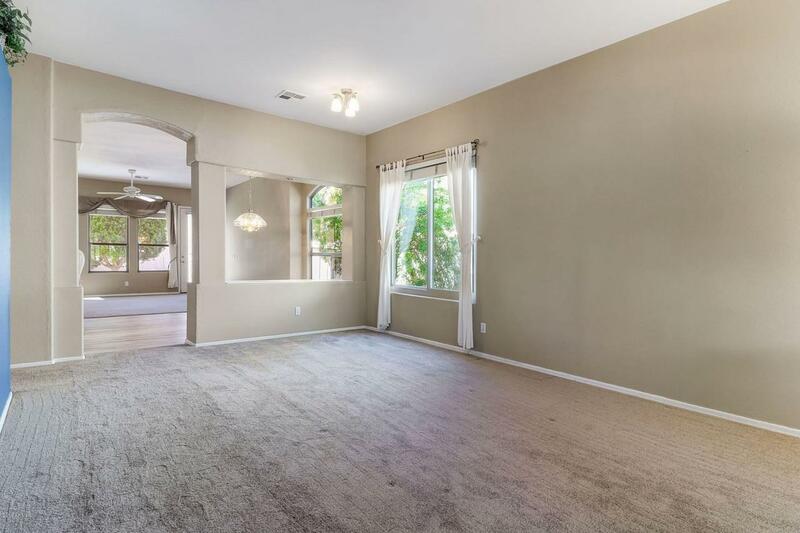 Open floor plan with high ceilings and a large family room which combines the living and dining rooms all open to the kitchen. 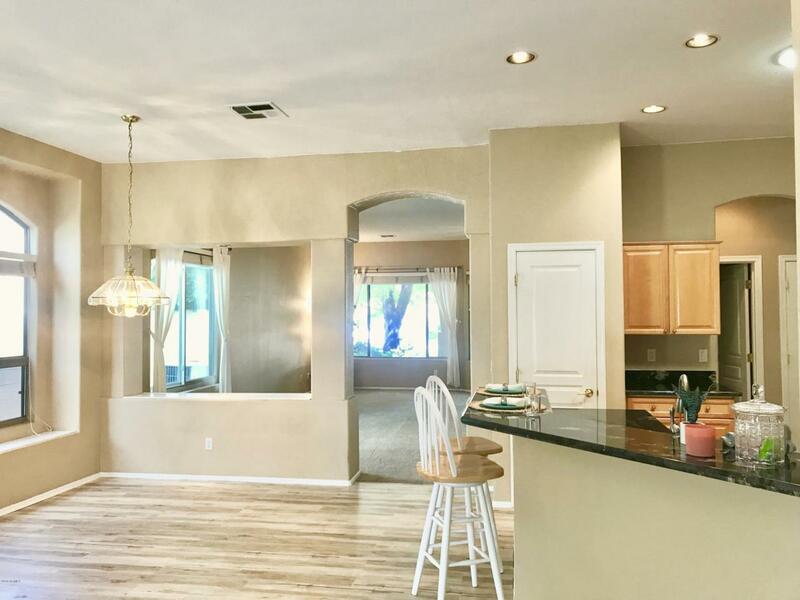 Great for entertaining, the kitchen has a breakfast bar, plenty of granite counter space, pantry and eat-in dining room. New paint interior/exterior. Updated engineered wood runs in the kitchen and halls with carpeting throughout the rest of the home. Enter the large master bedroom through double doors, with new windows and an ideal master bathroom with two sinks, bathtub, shower and walk-in closet. Two additional guest bedrooms. 3 car garage. The backyard has an extended patio for entertaining and mature shade tree, plus the lot backs to a common area.